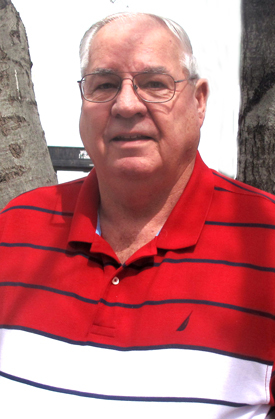 Former Artesia Magistrate Court judge Larry Wood has announced his candidacy for Eddy County Commission District 3. Wood has resided in Eddy County for the past 40 years, working with the Artesia Police Department and the Eddy County Sheriff’s Office as North Eddy County sub-office commander before taking up the gavel as magistrate judge and serving in that capacity for more than 14 years. Wood says his time as a sheriff’s captain and judge provided him insight into the process of making tough decisions on a daily basis. “Serving on the Eddy County Commission with revenues down because of the low price of oil and gas, some tough and thought-out decisions will have to be made on how tax dollars are being spent,” said Wood. “I’m a conservative, and I feel like some drastic measures will have to be dealt with over the next few years. Wood served in the United States Army from 1967-68 with a tour of duty in Vietnam as a combat infantryman with the First Air Cavalry Division before being honorably discharged. Wood and his wife, Lynette (Harwell) have been married for 47 years and have two sons, Mike, a retired Chaves County sheriff’s deputy who resides with his wife in Ruidoso, and Donnie, an employee of CSX Railroad who lives with his wife in Franklin, Tenn. The Woods also have six grandchildren and two great-grandchildren. “Being retired from full-time work is great, but I found that I had too much time on my hands, which led me to driving an activity bus for the Artesia schools,” said Wood. “This is something I’ve always wanted to do but never had time. I like sports and being with the young students and athletes. Johnathan L. Shuman will serve as treasurer for Woods’ campaign. “I ask for your vote on June 7 in the primary election,” Wood said.